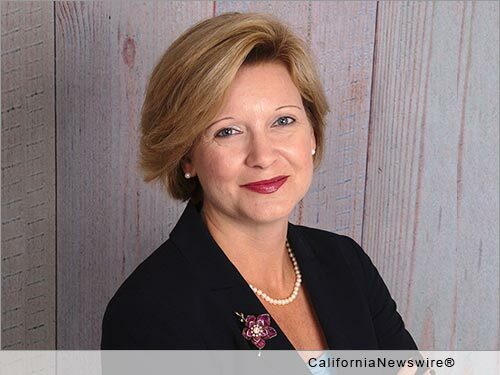 SAN FRANCISCO, Calif. /California Newswire/ — EPIC Insurance Brokers and Consultants, a retail property and casualty insurance brokerage and employee benefits consultant, today announced that its Regional Director of Employee Benefits Tiffany McClellan will present at the Human Resource Executive Health & Benefits Leadership Conference at the Aria Resort and Casino in Las Vegas, March 30 to April 1. McClellan will speak on "Strategies for Creating Impactful Employee Communications" alongside Cari Graham of Guidance Software Inc. on Friday, April 1 at 9 a.m.
With today's workforces more global, diverse and mobile, employers are inundated with information in and out of the office. This makes it a constant challenge to capture their attention, communicate important messages and make sure they feel engaged to take action. * Learn how to tailor your message to the audience, making it more memorable. * Understand techniques to deliver communication in a variety of ways to appeal to multiple generations. * Create impactful, focused messages with clear calls to action in order to grab your employee's attention and get them to take action when needed. Click here to see the full agenda: http://www.benefitsconf.com/agenda.html. As Regional Director, Employee Benefits, Tiffany is focused on growing EPIC's employee benefits consulting business in Southern California, recruiting and adding producer consultants, and specialty service teams and fully integrating EPIC's national Employer Services platform into local client offerings. Tiffany is based in Irvine and reports to Jim Gillette the Regional Director of EPIC's Southern California Region. In addition, Tiffany also works closely with John Connell the President of Employee Benefits for California on all Benefits Consulting growth, product development, service and business development initiatives targeting the Southern California Region. Prior to joining EPIC, Tiffany was a principal with Mercer's Health & Benefits practice, responsible for growing revenue and managing the sales and service teams as a part of the Southern California Region. She spent the prior 14 years with ADP, specializing in employee benefits automation and integration. She has held various positions from managing implementation teams to sales and product development across a suite of benefit services offerings for large employers. Tiffany holds a Bachelor of Science Degree in Biology/Community Health from Tufts University in Massachusetts. Professionally, she holds Certified Employee Benefits Specialist (CEBS) and Group Benefits Associate (GBA) designations. The Human Resource Executive(R) Health & Benefits Leadership Conference is a place to gain immediate useful solutions and ideas to help you craft a solid benefits program that will attract new employees, retain top talent, improve employee engagement, enhance productivity and more. Sessions are created and delivered by senior executives from leading organizations, both large and small, to give a high-caliber learning experience with real-world lessons and practical takeaways.